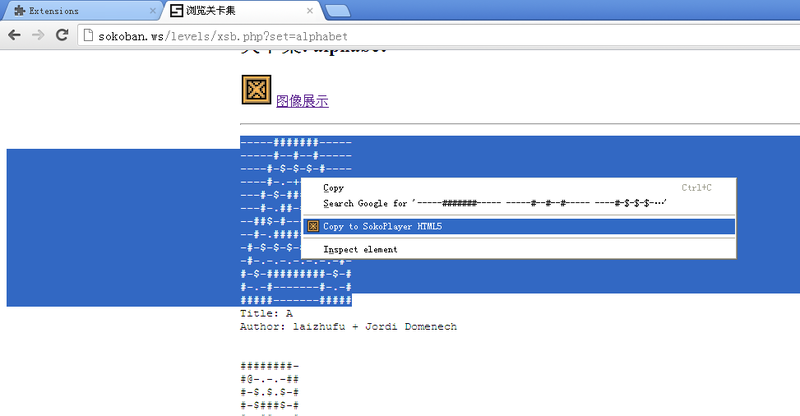 Sokoban.WS Tools is a Chrome Extension that works with SokoPlayer HTML5. It works in the same way as the Firefox Extension Sokoban.WS Tools. With this extension installed, whenever you select some text in the browser, you can right click to popup the context menu. You will see a menu item called 'Copy to SokoPlayer HTML5'. (1) Select an XSB format level within your browser, for example, at forums or in emails. Please select only the XSB level. (2) Right click to popup the context menu. (3) Click "Copy to SokoPlayer HTML5". (4) Then the Chrome brower will open a new tab and load that level into the online version of SokoPlayer HTML5. The extension icon is created by Borgar under a CC-BY license. Download the Chrome Extension Sokoban.WS Tools. 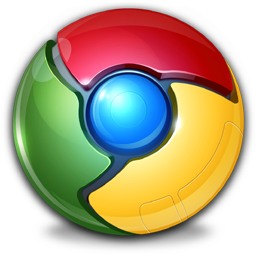 To install, open the extension tab of your Chrome browser, and drag the extension package into the tab.